There’s some new heart for the holidays. Hallmark Channel’s Western drama When Calls The Heart will have a special, 2-hour holiday event on December 26th. Based on the book of the same name by Janette Oke, the series ended its second season on June 13, 2015. When Calls the Heart takes place on the Canadian frontier in the early 20th century. The story centers on teacher Elizabeth Thatcher (Erin Krakow), who struggles with living in a coal-mining town after growing up in high society. Lori Loughlin and Daniel Lissing also star. The holiday special will air on December 26th, at 8pm. New season three episodes are expected to begin airing in February 2016. What do you think? Do you watch When Calls the Heart? Will you be watching the holiday special? 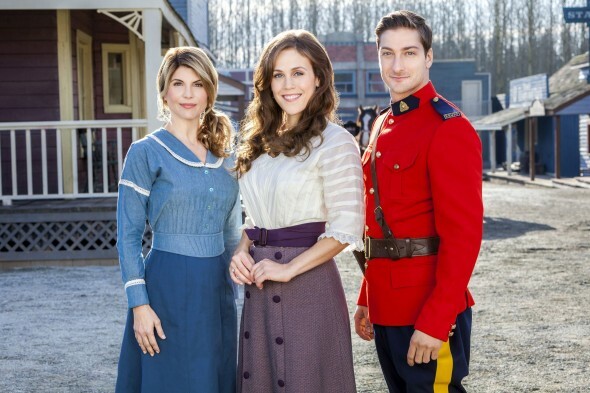 When Calls the Heart: Cancelled or Renewed for Season Five on Hallmark? My dvr recorded it, but there isn’t anything there! So bummed! I cannot believe I just missed .”New years wish” last night, I’m BUMMED!!!! How do I watch it on-line or will Hallmark rerun it? HELP!!! I love “Places in the Heart”!! It DID air – watched it at 8:00-10:00. We live in lawrenceburg tn. How can I watch the DC 26 special I mistakenly deleted mine? Will the episode 3 be replayed? why didn’t this happen. I tuned in and it was not there. It did after. Wrapped up some things and set the stage for the new season. Enjoyed it a lot. It is an awesome series luv it .so wanted to see the Boxing Day special. Can’t seem to get it? Can’t wait for S3 and to see the children back in school with their beloved teacher Miss Thachter. Mountie Jack back in his Red Serge and of course all the widows. etc. Thank you Hallmark for such a great showe. 30,000 strong needs season 4. Way beyond excited for When Calls the Heart to return for Season 3!!! This is a must see TV show for those seeking faith and family friendly programming. A+++++ all the way!!! Series finale like in no more, how could that be? The series hasn’t been cancelled. Last I heard, season three will debut some time in February. So excitedfor this! I love this site so much. I am so excited !! I LOVE this show – and my husband even likes it. So it is so much FUN to watch with him. I hope to see a season 4! !